Fished with Ian from his boat. I dug bait beforehand and collected a fair amount of lug and rag, plus a bucket of mussels which I shelled whilst waiting for Ian. We initially tried for flatties on some soft ground and picked up a couple of dabs but no plaice (not a huge surprise to be honest), and then headed out towards Belshie where we spent the rest of the afternoon. 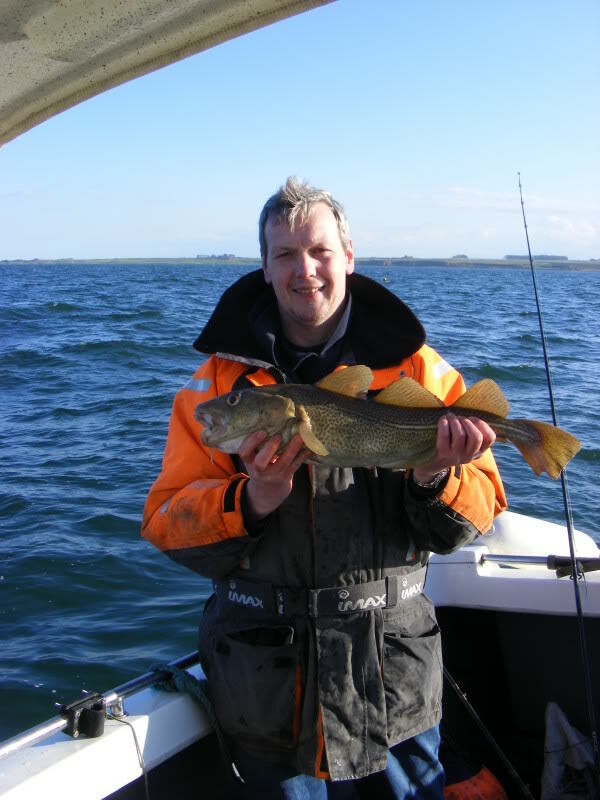 The fish were fairly patchy, but we gradually picked up around 14 codling between us, including a fine 5lb+ fish for Ian. I also made him a present of a SS sea scorpian for the ABR, which is my first for a couple of years. I later vacuum packed the remaining mussels using my new toy – and it seemed to work quite well.